Every person is unique in his or her own way. And what better way to express uniqueness than in our own homes. Make your home a place that you truly call your own, one that reflects your personality and where you find comfort and relaxation. Decorating your home is a way of expressing yourself and there are plenty of ways that you can do it. Include your hobbies. Things that reflect your hobbies can serve as great decorative pieces. If you are extremely fond of music, include home décor that is music inspired. It can be memorabilia from your favorite band or have portions of a song’s lyrics on your wall. If your hobby is traveling, then there sure are a lot of pieces from your travels that you can use for decoration. These can be photos or souvenirs showing your travel experiences. Your favorite color. Color is one of the simple ways that you can add your personality to your home. This can be the focal point of a room or can just be accents to make the room feel more like you. If you like blue, you can have a blue sofa in your living room or a blue rug. If you’re a cheerful person, you would most likely be drawn to bright colors. If you have a penchant for anything vintage, you’ll be drawn to colors that have soft tones. Just make sure that you don’t go overboard and that you’re choosing colors that complement each other. Light fixtures. Lighting can alter the atmosphere of a room. The great thing about lighting is that it’s both a functional and decorative element. 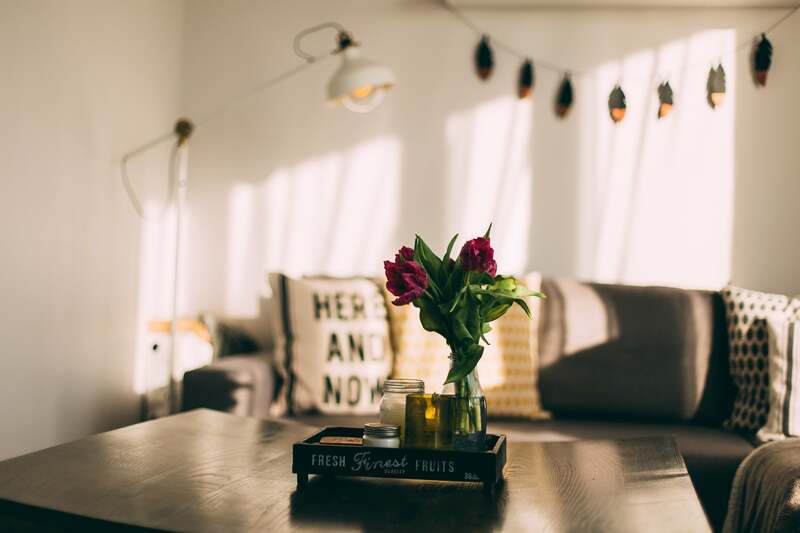 Be it a table lamp, a floor lamp, a lantern, a sconce or a chandelier, you can always bring in your personal style in whatever lighting fixture you choose. Artworks and framed photos. Hang artwork that you love looking at. It doesn’t have to be an artwork done by a famous artist unless that’s what you really love. It can be something that you found at a local gallery, photographs you have taken or that are sold online, or any artwork for that matter. You can also display photos of your family, pets or travels. Take note that too many random artworks or frames are not a good design idea. Consider coherence in your design choices. Think relaxing and comfortable. Your home should be a place where you can feel relaxed and simply just be yourself. The easiest way to do this is by adding pillows, a throw or a comfortable sofa in your room. Nature lovers may add plants or create a sunroom. Others may add a cozy little spot such as a window seat or a large beanbag chair. For all your building needs, http://www.vancouverhome.builders can help you in designing your one-of-a-kind home. Get ahead in the kitchen + reduce waste – by using your freezer! True. Your room’s decor should depict your type of lifestyle. My own room looks like a gallery threw up in it. Lovely paintings of abstract things, people and places are on every inch of the wall and it gives the room a nice atmosphere.